Curved Glass Display Will Be Ported to iPhone 5. Probably Yes..? 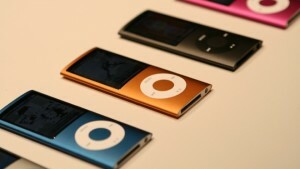 You must know that Apple has used the curved glass technology in its iPod nano, but it didn’t receive a such good response. The rumour of iPhone 5 are rising day by day an a new Rumour came up up claiming that the same curved glass Technology which was used in iPod Nano will be again used in iPhone 5. The rumour rises from the supply chain present in Taiwan. Cover glass makers are reluctant to commit investment to the purchase of glass cutting equipment due to the high capital involved, said the sources. According to some sources Apple has recently purchased 200-300 glass cutting machines which will be used by the glassy makers. Above is how the Nano Screen is like. The Curve Glass display leaves Another mystery for iPhone 5 that, will it be a 3D Display? As usual no ETA and no words said on the release or on the production of the iPhone 5 or the Curved Glass.